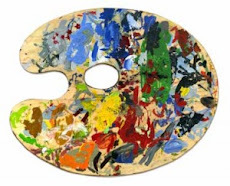 Do you use technology in your elementary art education classroom? How do you use it? Many of us in the county that I work for use a projector now to show students PowerPoint presentations about the artists or artwork we are about to study. This is very convenient and a lot less struggle than dragging out the slide projector or lugging around all those prints like years ago. I think technology can be use can be taken even a little further! 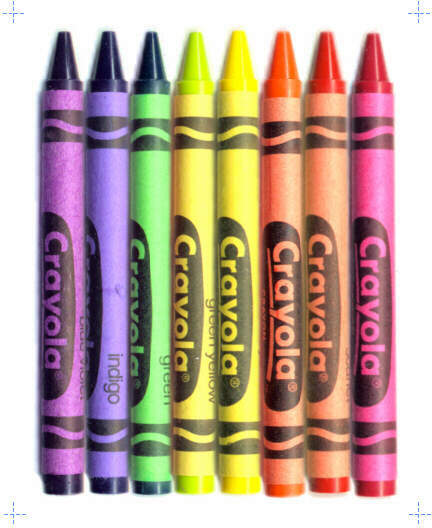 I often like to use Web 2.0 tools with my students. One that I would like to share today is Fakebook. It looks a lot like real Facebook that has become such a daily part of many of our lives. Students and teachers alike can be heard in the halls talking about Facebook at my school. Why not catch your students interest by creating a fakebook page to introduce an artist! It's so easy to use students can even do it themselves. 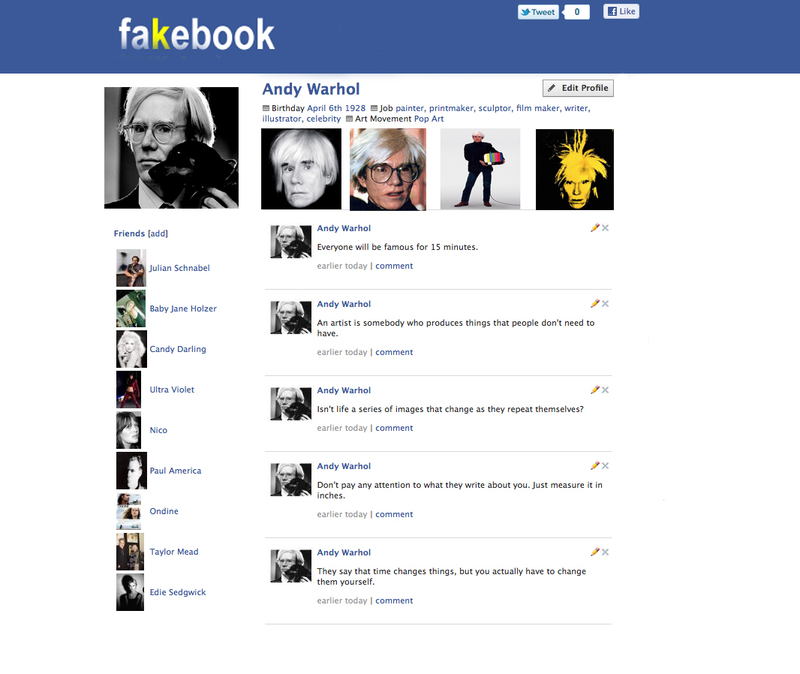 What about using fakebook as a simple art history assignment that students could even work on from home. Easy to use and free! I use my document camera, and my smart board, everyday. Our librarian has helped me use a wiki. I use kid pix, and many web sites. I have been pretty willing to try, so this year I am teaching 2 grade levels of Tech (computers).